The PAGES-CLIVAR Intersection Panel is looking for nominations from scientists across the CLIVAR and PAGES communities who are interested in fostering cross-cutting initiatives that involve the use of paleo-climate data in extending and contextualising modern observations, using CLIVAR-related insights and understanding to inform the interpretation of past climate data, and/or helping link modelling of past, present and future. 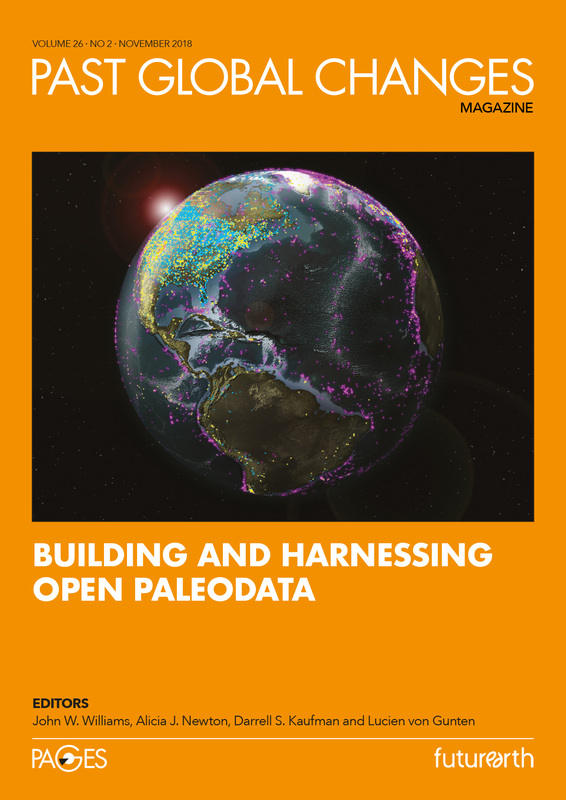 The recently-formed Ocean2k regional PAGES 2k synthesis project is looking for volunteers to assist in assembling a metadatabase of marine paleodata for the past 2000 years available from publicly archived databases. Sessions with PAGES co-sponsoring or emerging from PAGES activities include those addressing the climate of the past two millennia, interglacial climate dynamics, phenological records, sediment & carbon fluxes and geochronological techniques. Abstract submission closes on 17 Jan 2012. This first workshop of the PAGES Focus 4 Biodiversity Theme will be held in collaboration with the Biodiversity Institute of the University of Oxford. Application deadline is 30 Nov 2011. Limited support (max £1000) for early career researchers submitting abstracts to PAGES session “Human-climate-ecosystem interactions: learning from the past”. Limited travel support (priority for early career researchers) is available for a PAGES co-sponsored workshop on "Assessing the History of the Greenland Ice Sheet through Ocean Drilling" scheduled for 7-9 Nov 2011 in Corvallis, Oregon. PAGES had invited applications from groups interested in hosting the 4th PAGES Open Science Meeting (OSM) and the associated 2nd Young Scientists Meeting (YSM) in 2013. A total of 10 exciting bids from 5 different continents were received and PAGES is delighted with this strong interest in hosting the events. The PAGES Scientific Steering Committee (SSC) decided that the 4th PAGES OSM & 2nd YSM will be held in Goa, India in Feb 2013.